(CNS): Three months after a government motion passed through the Legislative Assembly to establish the Electoral Boundary Commission to assess the political landscape in preparation for changing the voting system, the government and opposition leaders have announced their appointees. It is now up to the governor to appoint a chair to head up the team that will make the recommendations regarding the boundaries of the single member constituencies ahead of the introduction of one man, one vote. In a short statement Monday, the premier said the government had nominated Adrianne Webb, while the opposition leader said he had chosen local barrister Steven McField. Making it clear where he stood, McKeeva Bush said everyone already knew he was against the proposal. The PPM’s nomination Adrianne Webb is already an experience boundary commissioner having served on the 2010 commission. As well as being a veteran barrister, McField is also considered a constitutional and political expert. On this occasion the commission, once it is formed, will not be looking at alternative options to single member constituencies but just how to divide the country fairly. It is expected to consider the numbers of voters in each constituency but will also have regard, the premier has said, for the historic boundaries of districts, which should preserve the separate constituencies of North Side and East End. Relatively well balanced boundaries have already been drawn up and they have been represented, broadly by the polling station boundaries within the existing six multi-member constituencies, so there should be few surprises unless the commission takes the view that East End and North Side should merge, which would stir up considerable controversy and possibly derail the plans for a fair and equitably voting system by the 2017 General Election. 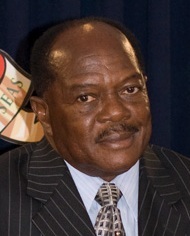 The main issues that the commission should need to examine are whether or not the current divisions adopted by the previous commission in 2010 are still fair and balanced given the increase in voters in the larger districts of George Town and Bodden Town, and where the dividing lines need to come for the new SMCs between Bodden Town and George Town. They will also need to decide where exactly the dividing line should come to create two constituencies for Cayman Brac and Little Cayman. Once the commission has done its work, the Progressive government has committed to introducing OMOV by the next election, in accordance with its campaign promise and the wishes of the majority of voters who took part in the 2012 referendum. However, the premier has demonstrated a certain reluctance to tackle the issue and it was as a result of the pressure applied by the member from East End, Arden McLean, who was committed to repeatedly bringing his private member’s motion until the government fulfilled its election promise, that he eventually agreed to begin the process and start with a new commission. Is Steve a barrister? An attorney he may be, but he does not seem to be listed anywhere as a practising barrister. For heaven's sakes. Steve qualified as a barrister in the UK although he does not practise in that jurisdiction. He does practise as a barrister in Cayman in that he practises in the courts as an advocate although we are all attorneys at law. The signage in his window might give a different impression about that point. OMOV is just to ensure Mac and his cronies never again get their hands on running Cayman. no wonder Mac is against it, he knows what it will mean for his political future. You are so correct, the Independents pushed OMOV to break the power of party politics because one has dreams of being the head of the country and taking it Independent. The only way for this to work is to go to a bicameral system. We need Senatorsand Representatives. Lots of them. Oh for f**k sake. I need a drink. That would also mean a Presidential system of government, but seeing we have very loyal westminister politicians that wants nothing to do with mimicking the United States, that would be very hard for us to implement. It would mean revamping the whole Constitution. Poor old Steve.So many of you do not recognise he is a thinker of world class constantly passed over when it comes to appointing judges. Happily, Mr Bush recognizes his true worth. doesnt' anyone see that this division issue is a smoke screen. WHO CARES how many people are in any section they section off. Those votes whether 1 or 1 million are only voting for one person, that represets that district. Does it really matter how many are in that district……NO, it does not. what the real truth is this. They are trying to figure out a way, to give you OMOV, and all of them in the LA keep there jobs. Without making it look too obvious. They have no idea's how to do this, so they are delaying, using this division of territory as a smoke screen. The plain and simple fact is this. OMOV means the LA is cut to 1/3 of it's size. While becoming more effective, and fair for everyone. OMOV means bodden town has just as much voting power as the george town rep. And the brac rep has the same voting power as the george town rep. George town will no longer have any more voting power than the little cayman rep. So everyone in the LA will need to work together, for the whole of cayman. OMOV. There is no confustion or difficulty in understanding what it means. The problem is. If the LA backs this initiative. 2/3's of them are going to lose high salaried jobs. NONE OF THEM want this. So blow smoke until they can figure out how to keep everyone's jobs. What colour is Mac? White. You just insulted all white people. Cause the Chief Justice is as white as the driven snow! And what's with the (not white) comment. Of course he's not white if he's black. What are you smoking? Nothing to do with being black, everything to do with intellect . Good gracious me, 10:03! Is that the problem? How come it did not keep down Mr Smellie or Mr Bulgin? Smellie and Bulgin are not Caymanians. Mr. McField is and that is why he is ridiculed, passed over and looked down at as all Caymanians are IN THEIR COUNTRY! What an idiotic, inaccurate and racist statement that is, 6:45. You and people like you are truly pathetic. Combine the North Side and East End districts is the only way to really implement fairness into the system. Breaking up the useless district mentality that holds the country back and allow the tail to wag thedog. Except the current commentary from the two sitting members always comes from somewhat further south. You do that and Ezzard and Arden will have to campaign against each other. lol … that would be the day! Just what the two parties would want. Hon Premier I guess now the wisdom of what was told to you 3 years ago. Time longer than rope yes siree. So now Ardenget credit for OMOV. But wait he only supports it if NS and EE stays as they are when everyone knows they shoud be combined into one district to make things equal. Totally uneccessary and a waste of time and money. I hope the time and money wasters who complained so loudly about this are happy now. Yes we are happy and you wont be coat tailing! Be a man and show true leadership! most politicians are as useless as a pair of balls on a cow. Who ever told them they could become a politician. Caymanians, we need to change the way we vote, stop letting these idiots fool you. Where are these people when the country needs them? we need help throughout the 365 days a year. Dont vote for any that dont show concern at all times. where are their voices? How would the merger of NS and EE 'derail the plans for a fair and equitably voting system'? Surely that is exactlywhat needs to happen, in order to make the SMCs roughly the same size? The next progression towards a true democracy will be to allow "paper-Caymanians", that truly love this country, to be eligible for nomination in the same manner and standing as "born, or closely-tied Caymanians" are currently subjectively eligible. A gesture that might also help heal the perceived divide between those that were born here (or near here), and those who later came, raised their families, and established their adult lives here. Migrant Caymanians should have no less right to contribute than those born here, and Cayman's democratic apparatus should not discriminate on that basis or define tiers of citizenship. A little more political competition might also persuade some of the show-offs, dinosaur-thinkers, and snail-like problem-solvers – that have crippled debate and progress in our LA – that they need to finally retire. There are some very good candidates, that have made their fortunes, and have nothing more to gain but to continue their legacy of public service. The Constitution already provides for those who have become Caymanians by grant rather than by birth to run for office. They need only renounce their citizenship of any other foreign country. If they are truly committed to this country they will do that. citizen by virtue of a connection with the Cayman Islands. Oh I read that part all right, but it is only relevant if you are first a BOTC citizen by virtue of a connection with the Cayman Island. In other words, regular Status holdrs are not elligible, regardless of renouncing other citizenship, which is the point I was trying to clarify. Yes, obviously. That is not usually an issue, but renouncing foreign citizenships often is. My question is, why would any foreign national, where ever he or she is from, or how much a Caymanian one become, would want to run for office in the CaymanIslands? As i see it, being a Caymnian is only putting you at a disadvantage position, you dont believe me, look around, check from the Bluff on the Brac to West bay and tell me how many grass root caymanian bulders you can find building and constructing properties….none! So why would the Canadians,Scotish, new zealand, Austrilians, Jamaicans give up this great opportunity that our so-called leaders are now dishing out to them? why, why would they want to chnage these Caymanian leader who give them all the previlages over the grass root natives? Further saying.. they dont have to have their own in politics, when our Caymanian leaders alredy taking care of them. Makeeva amended every Immigration laws which made this all possiable for them to stamp out all the grass roots. Even though the afore mentioned nationalities curse him, the latter worship him. If you don't want to run for office that is fine with us. No problem. What if they are British Citizens? Can they get the right to stand as an MLA by rejecting their British Citizenship, and then reapply as a Caymanian. I don't think what you are saying is entirely correct. You do not begin to qualify until you are a BOTC by virtue of your connection to Cayman, so there is no question of reapplying after renouncing British Citizenship. On a literal reading of the Constitution one may retain British Citizenship only if it was acquired by virtue of the British Overseas Territories Act 2002. How many MLAs have American Passports? How many MLAs have Brisitsh Passports? Does Mac have a Jamaican Passport? It is impossible for me to have a discussion with someone who does not even understand the issue. You are not loyal to the Queen first, you are loyal to the Caymanian people as an MLA. So if you're British you have to renounce that too. You can't be saying you're for Cayman and try to legislate policies and laws against Cayman! Amen to that!! Let's see how many takers there will be now that they consider themselves "Caymanian". But would that not leave them stateless, since Caymanian is not a state? I think you will find that in order to qualify to run for office you must be a BOTC and not just have Caymanian status so they couldn't possibly be stateless. "Caymanian" is not a state for sure! A status, yes, but not a state! Well said 17:44. But we all know they will not do this. Of course they all come here and want to have their cake and eat it! With all due respect isn't it what many Caymanians do by having dual citizenship with America? Do they run for office in America? Caymanians can run for office in America if they so wanted. Don't forget that 1/2 of the Americas are foreign nationals. 9:09 not all of us CAYMANIANS have American passports. WHY? Not all of us have an identity problem! FACT. I don't have one, don't need it, don't want it. So please take that comment to the rich bigots of Cayman who have forgotten their grass roots, they are the same ones who don't want to pay their taxes, so yes SOME not all want to have their cake and eat it. But let us stick to the point, how many Caymanians you see running for office anywhere outside of Cayman? How many of the American or Jamaican born candidates renounced their birth or adopted British citizenry – I think we will all recall there were candidates that did not – but they were widely forgiven and considered "close enough" by the populace and now sit in the LA. Had they hailed from anywhere else, I can assure you that would not have been the case. Yet, like it or not, Cayman is now an international melting pot and we should strive to remove these tiers of citizenship to reflect the true Caymanian identity instead of clinging to a racially-deluded past where on the eighth day God created Caymanians. It is not a matter whether they were considered close enough by the populace, it is whether they qualified under the Constitution. If you will read the Constitution you will see that they did. If you believe that we need not concern ourselves with whether persons have their primary loyalty to this country because we are an "international melting pot" then it is you who is deluded. Re: "if they are truly committed to this country they will do that"
The double standard is engrained in section 61.2(b)…if any candidate born overseas had a Caymanian grandparent they do not need to renounce their right to citizenship in their birth country. By what logic does having had a Caymanian nana (they themselves not necessarily required to have been born in Cayman) genetically shield a candidate from the obligation to renounce their right to citizenship in their birth country, in the same way that an "Paper Caymanian" would be so required? If having had a Caymanian grandparent somehow magically confered honesty, integrity, or sense of patriot duty and obligation, then surely Northward would only contain scheming expats. I think it should be the same for all Caymanian candidates. Either the retension of rights to birth citizenship is allowed or it is not. I would have thought it obvious that if a person is a generational Caymanian it means his ties to these Islands are deep enough to overcome an accident of birth elsewhere. Many Caymanians were, for example, born in Jamaica because of potential birth complications and the access to better medical care there at the time. They have no other ties to that country and are obviously not in the same category as a generational citizen of another country who was born, bred and acculturated there. Honesty and integrity is another subject altogether. How churlish of you to try to connect this issue with inmates at Northward. NEVER this is not FIJI bobo! Steve McField considered “constitutional and political expert.”! By whom, and since when? So he is not an expert huh, is Adrianne Webb an expert? I am very much afraid that Mr. McField, being Mac henchman, will try to kill this. I am also very much afraid that the PPM will not be heart broken if this is what happens.. The PPM is reluctantly going forward with OMOV because they are afraid of the response of the people if they don't. This ply by Mac may work out wel for the PPM they would have some onto blame it not working out out on. I would love to hear from the PPM that they are 100% committed to OMOV and come hell or high water it will be in place by the next election. Three months to appoint three people? is that the speed we can expect from here on out? If OMOV dies so will the chances of the PPM in the next election. "…McField is also consider a constitutional and political expert." by whom? McKeeva? No … by his qualifications! Are you qualified like this lawyer? My concern is when they divide up the constituencies or territories fairly, when they have past this hurdle, what happens in the future when, let's say, a constituency loses people and another one (like fast growing Bodden district) gets more people? Over time "fairness" will have to be renewed due to the variating movements of our population. I can see why some would suggesting dividing the island up into equal measurements of constituencies, instead of via population. Because population change over time – but not measurements. That rule is a akin to the u.s. constitutional rule of the senate: two senators for every state / population don't matter. really necessary? How man friends and relatives and associates and cronies will be on this committee? How much is this going to cost us? Will anything be accomplished? Make it simple……. one man, one vote, period. People my people take time to read. Two have been appointed that's it! Enlarge Northside down the road on the East End side and enlarge East End past Fank Sound toward Bodden Town and those districts would have enough voters. As long as they ignore Steve McField they should be able to accomplish something. Mac's put forward the greatest carrier of "Good ole Caymanian Common Sense from the Sacred Wessell" to argue on his behalf, this shouild be entertaining. Is Stevo the only attorney on Island who seems to be an expert in every aspect of Cayman Law, I wonder how he does it? You would have to spread yourself very thin. Very thin indeed.